I noticed an interesting little thing while shopping recently in my local dm store. dm (full name: dm-drogerie markt) is the largest chain of drug stores in Germany, selling similar products to US chains such as CVS, Walgreens, and the like. 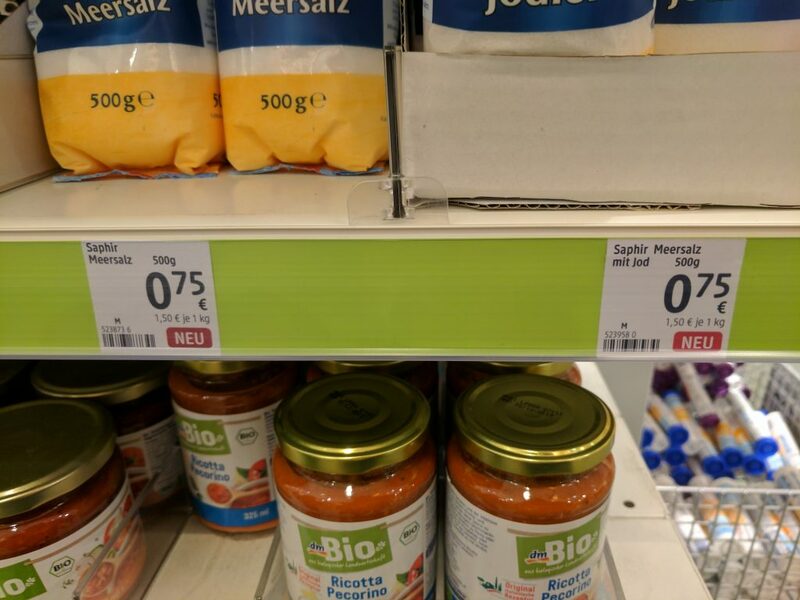 What interested me in dm that I haven’t seen anywhere else is that on every price label they include the date on which they last raised the price for the item. 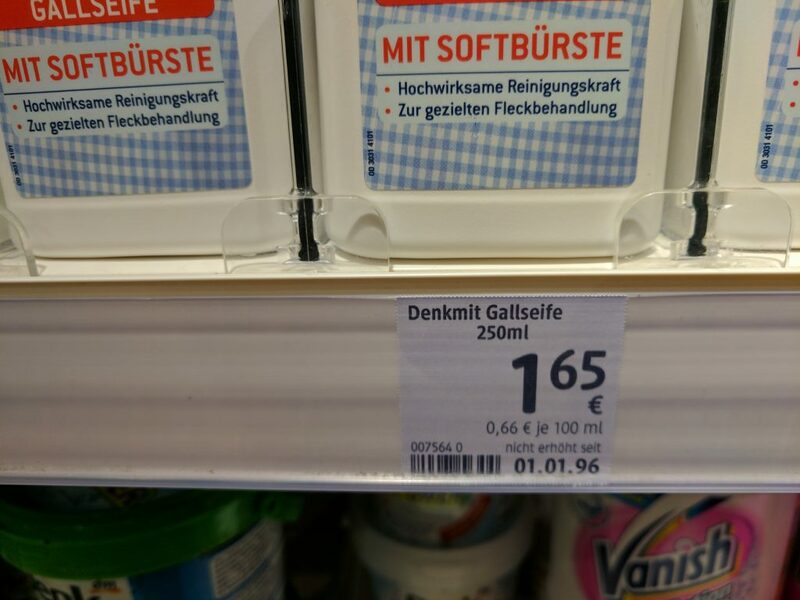 Beneath the price and unit price for each item, the label reads “nicht erhöht seit” (“not raised since”) followed by the date. 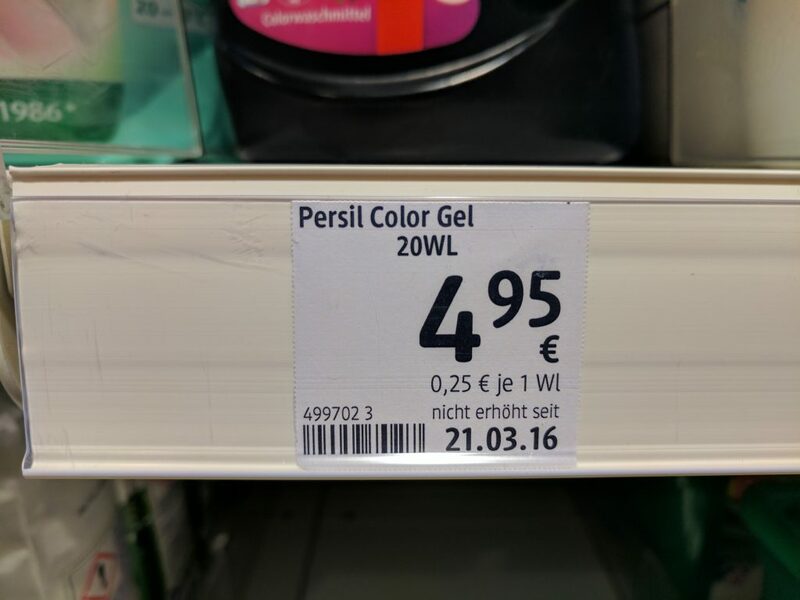 I went through the store paying attention to these dates and took some pictures to share on my blog. Another “old one,” last raised in February 2001. New items have the word NEW in place of the date. 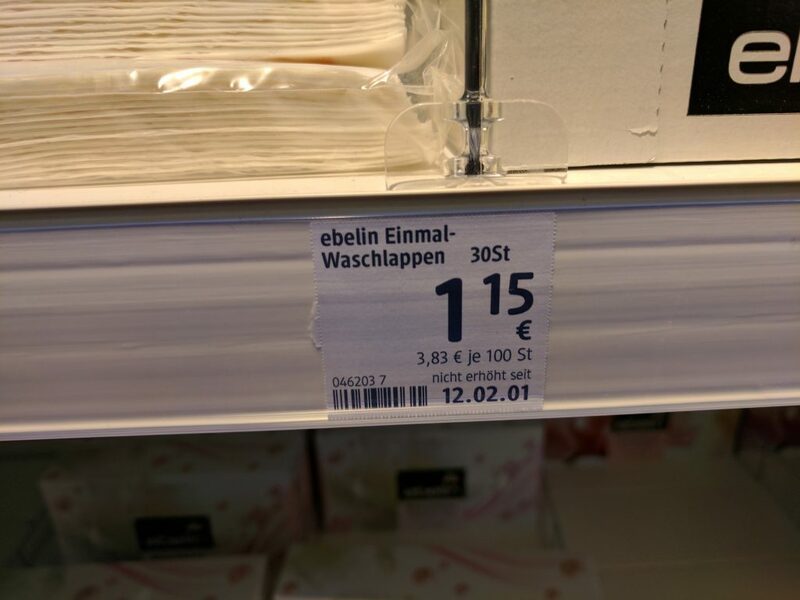 I suppose that this label stays until they raise the price. I hope you enjoyed this little observation!